Good news for Windows-lovers! 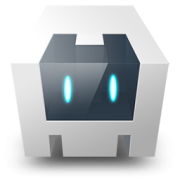 We’ve recently updated our plugin for Cordova integration! Previously we provided support of Cordova-generated projects for iOS, Android and Windows Phone 8 only. Now our plugin supports the whole Windows platform: Windows 8.1, Windows Phone 8.1 and Windows 10 projects as well. Our new plugin works with WNS instead of MPNS, but the changes won’t affect users of the previous plugin version somehow. Though, we recommend those of you who use WP8 a migration to Windows as the way to stay up-to-date. Integrate Pushwoosh SDK to your Cordova project and broaden your audience!